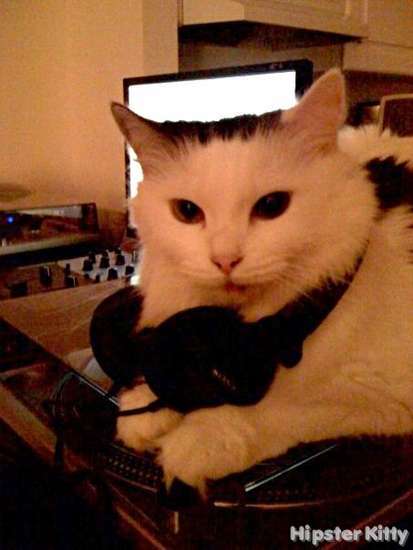 Miette calls herself “an experimental DJ” but tends to play the same Dirty Projectors album over and over again. 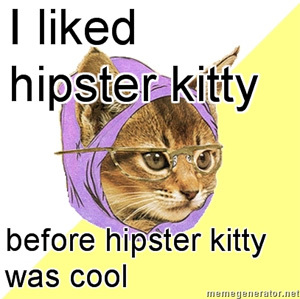 Submit a hipster kitty photoThanks to Mallia Sherzai for the photo. 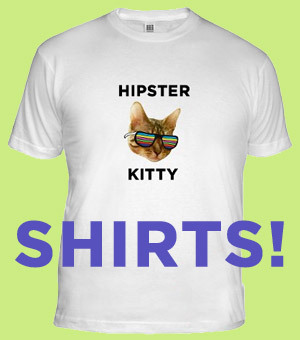 This kitty was posted on Thursday, February 25th, 2010 at 11:15 am	and is filed under Kitty Music Scene. I knew her before she was famous.